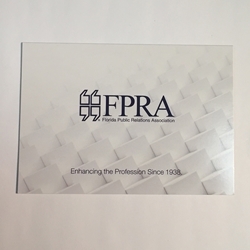 These FPRA notecards are perfect for sending thank yous to speakers and chapter board members. They are blank inside and they come with envelopes. They're available in packs of 10 and shipping is included in the price.